When Did the Tooth Fairy Tradition Start? Although it seems as though the tooth fairy has been around for hundreds of years, the concept is actually much younger than you think. The first time the tooth fairy was mentioned in print was in an eight-page play written for children by Esther Watkins Arnold in 1927. While the play went relatively unnoticed for a while, the popularity of the Disney fairy characters helped make the tooth fairy become a fixture in many households. The current average rate for a lost tooth in 2019 is $3.70. If you think that figure is a steep price to pay for a small tooth, consider that this amount is actually down from previous years. In 2018, the tooth fairy paid $4.13 for each tooth, and in 2017, the tooth fairy had an all-time high price of $4.66 a tooth. These numbers come from surveys and express an average received – so don’t worry, the tooth fairy isn’t counting out odd numbers of dollars and cents on a case-by-case basis. If you want to leave some money under the pillow, but want to make the occasion special and memorable, consider making fairy money. If you’re paying with a few bills, spray them with glitter hairspray to make them look as though they came straight from the tooth fairy’s purse. If you’re paying in coins, you can also make sparkle coins. Simply spray them with adhesive and dust them with glitter while they’re still wet. Your kids can save their fairy coins or exchange them for a prize. If you’d rather not give money when the tooth fairy visits, consider leaving behind a different prize or gift. Since the tooth fairy is all about healthy teeth, the tooth fairy can leave behind a new toothbrush and toothpaste with your children’s favourite cartoon characters. Another fun option is a special coupon for something your children enjoy doing, such as taking a trip to the park or watching a movie with you. A new book left under the pillow is another great idea for a tooth fairy visit. Baby teeth are small, and the tooth fairy is small. It makes sense that the note the tooth fairy leaves behind should also be small. To make your own tiny reply from the tooth fairy, trim down a piece of paper as small as you can get it while still leaving enough space to write. The tooth fairy can thank your children for taking good care of their teeth and encourage them to keep up with brushing their teeth. To make the miniature note more magical, consider dusting it with a little glitter. Children get excited when they lose a tooth, and they may worry that they will lose a tooth in bed before the tooth fairy has a chance to come and collect it. You can help calm those fears by giving your children a tooth pillow. You can either purchase a tooth pillow or make your own. If you’re feeling creative and want to make a tooth pillow, sew a pocket on the front of a small pillow. Your child can stick a tooth in the pocket. At night, the tooth fairy can retrieve the tooth and replace it with the money, gift, or note. Every lost tooth is an important milestone on the journey to adulthood. One way you can memorialize this changing smile is by creating a tooth fairy journal. Each time your children lose a tooth, take a picture of their smile and put the photo in a journal. You can include notes in the journal, such as the date the tooth fell out and how it came out. Once the journal is complete, you and your children will have a fun way to look back at the progress they made toward an adult smile. Children around the world have different ways to celebrate a lost tooth. In Argentina, kids will put a tooth in a glass of water for the El Raton de Los Dientes, which translates to the tooth mouse. The mouse comes during the night to drink the water, take the tooth, and leave behind a prize in the empty cup. In Japan, children are encouraged to throw their teeth. Lower teeth are typically thrown upward toward the roof, and upper teeth are usually thrown downward toward the ground. While the tooth fairy has changed a little over the years, the ultimate goal is still the same. 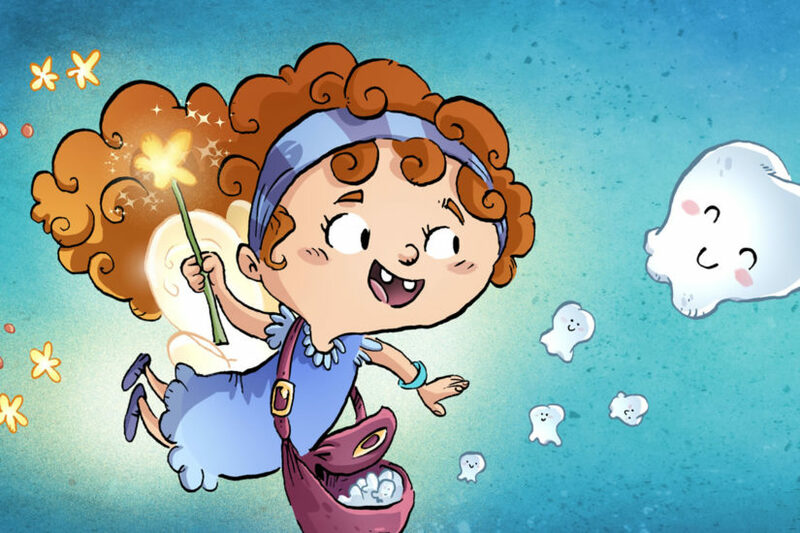 The tooth fairy remains a cheerful legend who can help bring comfort to children as their bodies change and encourage good dental health.